MATE CETT VIDEO PUIS LACHE TES COMS TES IMPRESSIONS MERCI! MOI MM VEENS DE BEINGUE NEW TATOUAGE KESKE VS ZEN DITE? 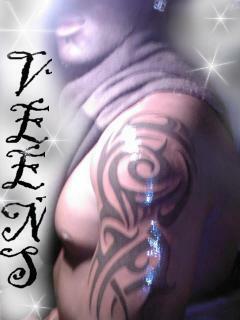 MON NEW TATOUAGE SA DJA OU PA? FAUT METR DS TON PORTABLE POUR LARGUER T ZAMI O MONTRE QUE TU NES PAS GAHOU!! A TS LE MONDE bientot dotre mixs attention c début seulmnt!